If you're on social media, you've probably noticed the new trend of people comparing photos from the past side-by-side with current pictures. The idea behind it is to see how much one has aged over the course of ten years or so. Recently, horror director Rob Zombie took to Instagram to take part in the craze, doing a comparison photo of his own. Showing his growth as a filmmaker, Zombie depicts three photos in a row. The first two are of him shooting House of 1000 Corpses in 2001 and its sequel The Devil's Rejects in 2004. Finally, a 2018 photo shows him on the set of Three from Hell, the newest installment in the Firefly trilogy. "It took awhile to complete the trilogy but we did it," Zombie says in the caption, suggesting he has finished production on the anticipated sequel. Plot details have yet to be revealed for the upcoming Rob Zombie movie. What is known for sure is that it features the return of all three members of the Firefly family. Sheri Moon-Zombie, Bill Moseley, and Sid Haig will all be reprising their roles as Baby, Otis, and Captain Spaulding. Sneak peek photos show that the three have been apprehended, insinuating they survived the shootout with the police at the end of The Devil's Rejects. With Moseley promising the movie will be filled with excessive violence, we can presume that the deadly trio will be escaping from custody, to embark on a murderous rampage once again. The Firefly family members were first shown in Zombie's debut movie, House of 1000 Corpses. Inspired by classic horror movies like The Texas Chain Saw Massacre, the movie is still considered to be among Zombie's best work. Because it had quickly developed a cult following, the musician-turned-filmmaker would follow it up with a sequel just a few years later. Even more so than the first movie, The Devil's Rejects was a hit with viewers, and was even given a positive review by Roger Ebert. For many, it's the epitome of Rob Zombie's horror movies. Of course, not every movie made by Zombie has turned out to be a success. His Halloween reboot had given franchise fans mixed opinions, with the sequel faring much worse. It's clear that the Firefly family are the characters from Zombie's body of work horror fans care about the most, and there's a lot of anticipation behind seeing their return in 3 from Hell. As we can see in Zombie's Instagram post, it's been quite the journey for him since the start of his filmmaking career, and the director seems to be just as excited to complete the Firefly movie trilogy as the fans are to see it. Zombie shot the movie last year, putting post-production on hold while he went on tour. All that was left was for him to get the footage edited and release the movie. 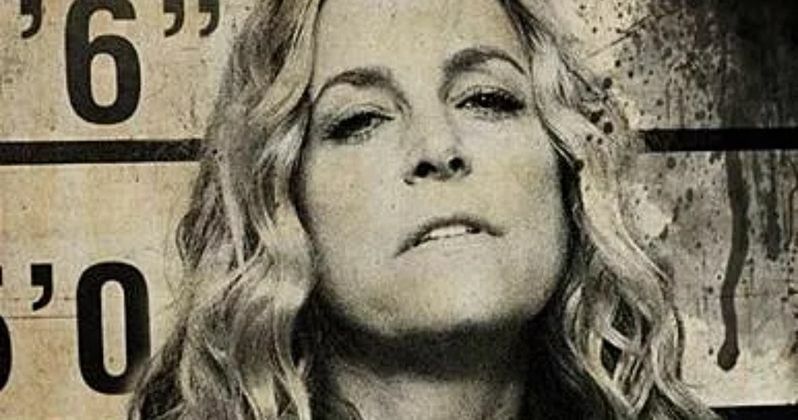 3 from Hell is expected to be released sometime in 2019, but no official release date has been named. Hopefully, with the movie complete, we'll be seeing it sooner rather than later in the year. You can take a look at Zombie's Instagram post below. This comes comes direct from Rob Zombie's Instagram.